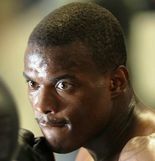 Peter Quillin doesn’t have control over an overanxious referee. What the Grand Rapids boxer did control was how his first HBO audience received him, and the risks he was willing to take to hammer home his point against Craig McEwan, both of which he handled with aplomb. Quillin, 28, remained unbeaten in 26 professional bouts with a sixth-round technical knockout victory in a scheduled 10-round middleweight fight late Saturday. The ending will be remembered as a quick-trigger stoppage by referee Manolo Alcocer on the strength of three punches that caused McEwan to stumble into a corner pad, although he seemed to shake off the effects just as quickly. Quillin’s offensive engagement dominated every round before the ending, prompting McEwan’s face to break up and drawing praise from television announcers for his premium on creating punching opportunities, sometimes at risk of being hit himself. Some of that was because McEwan (19-2) is not known as a power puncher and they sparred a few times last year, so Quillin knew the degree of risk. Still, McEwan can hit enough to be dangerous, and when he landed a power shot midway through the first round, Quillin slowed his pace and settled behind his jab. When McEwan forced the fight to the ropes in the second round, Quillin got the better of the infighting. And when Quillin got too predictable with the jab and McEwan raked him with a solid counter hook in the third round, Quillin feinted the jab to begin the next exchange. The feint didn’t draw a punch but it showed a professional ability to adjust in seconds. Throughout, Quillin landed hard power shots that quickly induced a cut and swelling over and around McEwan’s right eye, another cut over the bridge of the nose and yet more blood from inside the nose. The stoppage, after a check hook, then two right hands, came too quickly at 2:23 of the sixth round. Yet, McEwan, of Edinburgh, Scotland, was losing every round, and his deteriorating physical state made the referee’s overreaction academic. Quillin, who is top-10 ranked in multiple sanctioning bodies, officially came in at 159 3/4 pounds, equaling his career-low weight. McEwan weighed the class limit of 160. The victory opens up several possibilities for Quillin, which will be limited because of a stubborn refusal by so many middleweights to fight each other. Middleweights most want to fight Sergio Martinez, their most recognized champion; or Julio Cesar Chavez Jr., who has a marketing advantage because of his legendary father and the World Boxing Council title he holds, and also is perceived as vulnerable. But Martinez spends more time calling out Manny Pacquiao and Floyd Mayweather, who fight in the 147-pound welterweight division, and Chavez is making his first defense in a relatively low-risk bout against Peter Manfredo -- after winning it from little-known Sebastian Zbik -- and doesn’t appear anxious to take a big chance. Marco Antonio Rubio would be a good fight, but he is unlikely to risk his No. 1 WBC rating, and mandatory contender status, to fight Quillin. Daniel Geale is the International Boxing Federation champion, and Quillin is one of his leading contenders. Failing that, Andy Lee, an Irish fighter trained in Detroit — and the only man to beat McEwan, before Quillin did so Saturday -- might make an attractive title eliminator.